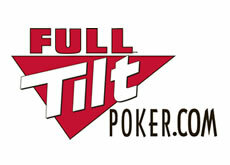 One lawsuit goes away and another one appears to take its place, so is the saga of Full Tilt Poker after Black Friday. Just when the beleaguered online poker room thought it was making some headway in resolving its problems in repaying US poker players who can no longer participate in games at the site –rumors of an imminent sale of shares of the company would bring in the necessary capital to make good on these payments, a new Class Action lawsuit has been filed against Full Tilt Poker by a group of poker players. Named as defendants in the class action lawsuit are Full Tilt owners Raymond Bitar and Nelson Burtnick –both were indicted by the US government on Black Friday—and more interestingly was the addition of the entire roster of Team Full Tilt: Howard Lederer, Phil Ivey, Chris Ferguson, John Juanda, Jennifer Harman-Traniello, Phil Gordon, Erick Lindgren, Erik Seidel, Andy Bloch, Mike Matusow, Gus Hansen, Allen Cunningham, and Patrik Antonius. The complaint also left open the possibility of more defendants, should secret or unknown shareholders come to light, in the form of John Doe 1-100. In what could turn out to be a case of bad timing –since the lawsuit was filed the day before the rumors of the possible sale came to light—the players filing the suit with the best intentions have hopefully not damaged the chance of an agreement being reached between Full Tilt and the new investor group. This entry was posted on Friday, July 1st, 2011 at 5:14 pm and is filed under Poker News. You can follow any responses to this entry through the RSS 2.0 feed. You can leave a response, or trackback from your own site.